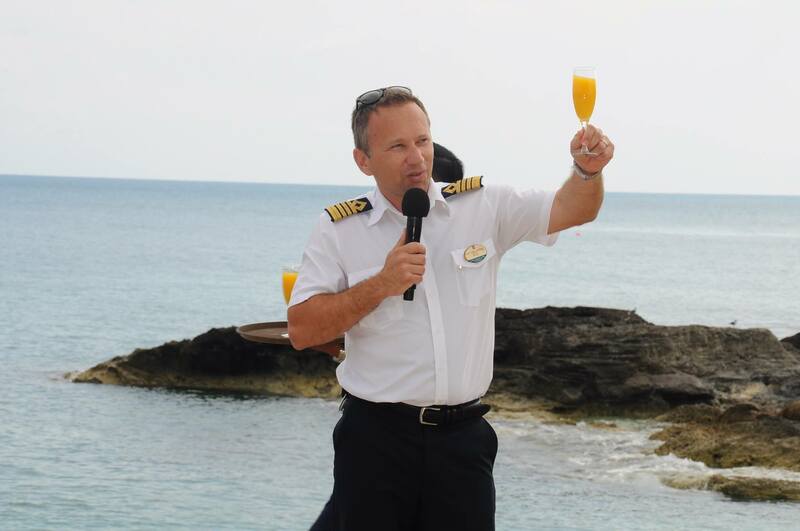 In a press conference with members of the media aboard Independence of the Seas, Royal Caribbean CEO Michael Bayley spoke about some options the cruise line is considering with regard to allowing guests to stay longer at its private destination of CocoCay. 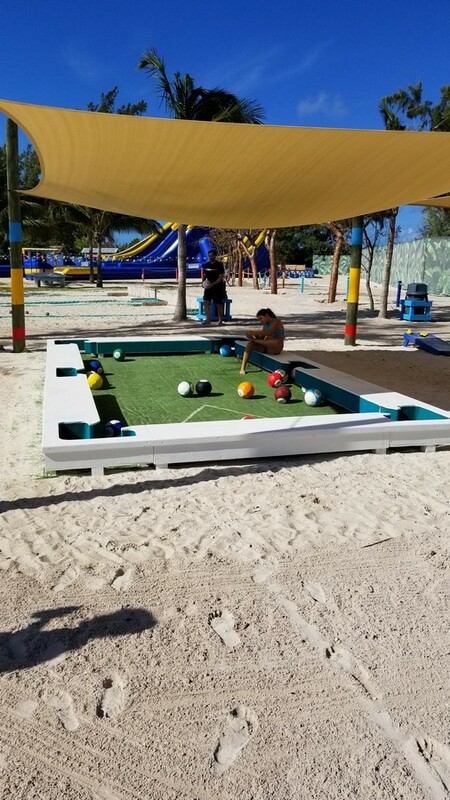 Adam Coulter of Cruise Critic reported that Bayley talked of keeping ships later in CocoCay, "The next stage is to have longer stays in Perfect Day till 11 o' clock at night and we're building it so we have all the lighting and infrastructure in place." Moreover, Royal Caribbean is also considering the idea of guests staying even longer, with stays overnight or even longer. Tom Stieghorst of Travel Weekly quoted Michael Bayley as saying, "We're pretty sure late nights will be a hit. We think overnights could be a hit and we're wondering if a whole weekend could be a hit." "It would not be a volume component. It would maybe be 10 cabanas of suite-type quality which would be pretty high-priced, and then you'd have the ability to hop on any one of our ships. But there's a lot of revenue and logistical issues to work out with that idea," Bayley said. 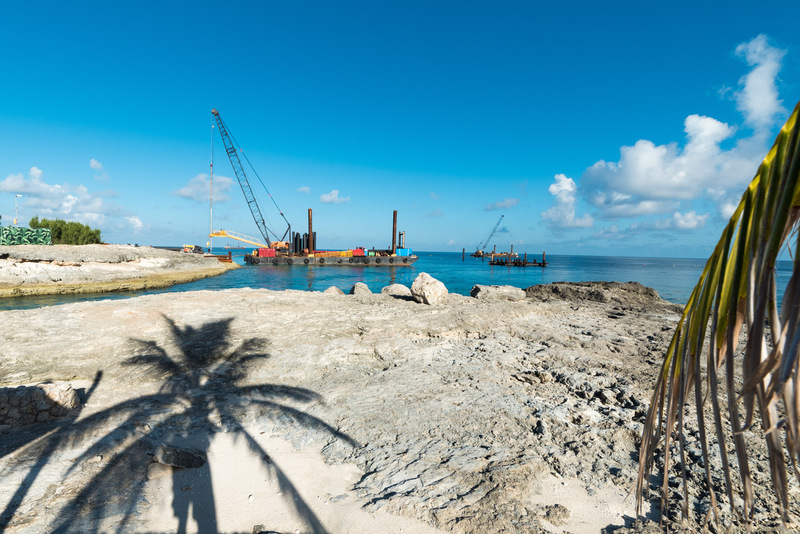 Royal Caribbean is in the midst of building the Perfect Day at CocoCay improvements, which will bring a water park, slides, cabanas and more the island. The $200 million project is underway, with the majority of the additions ready for launch in spring 2019. 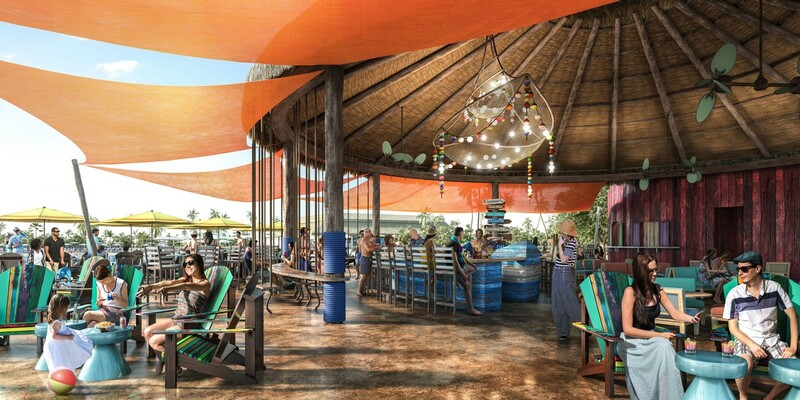 Coco Beach Club, the final experience to be completed, is set to open November 2019. 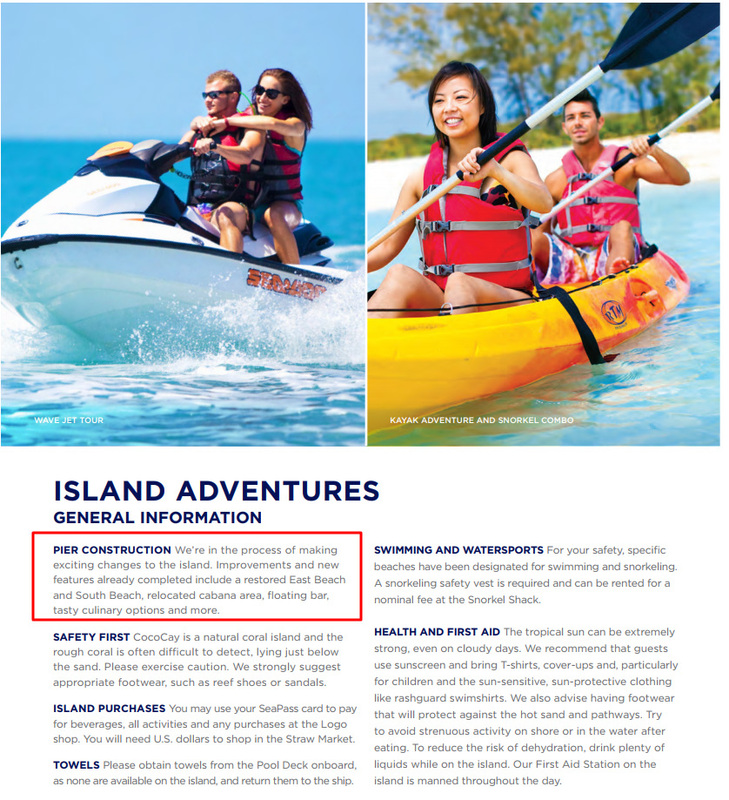 This is not the first time Royal Caribbean has hinted at an overnight option with CocoCay. In April 2017, Michael Bayley brought up the concept of allowing overnight stays in CocoCay. 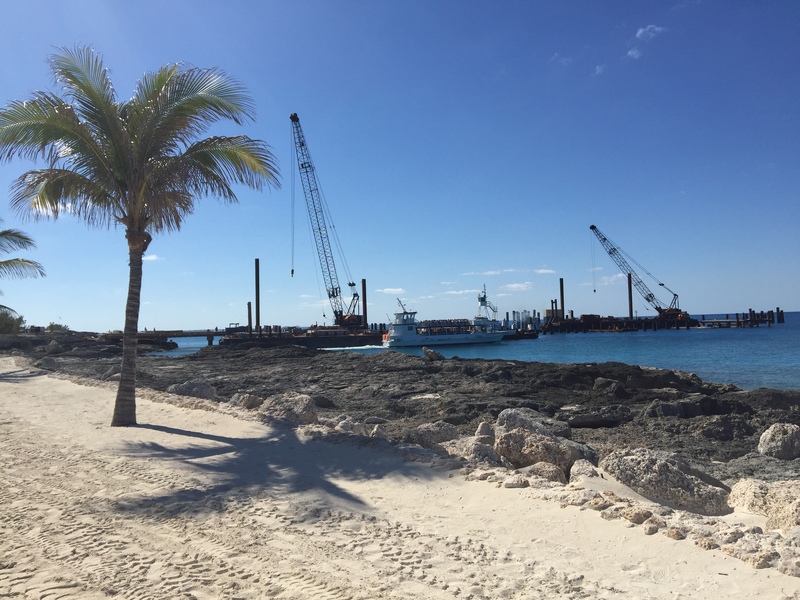 If you are wondering what the progress is like for the new pier Royal Caribbean is building at its private island of CocoCay, we have a new look at where it stands. 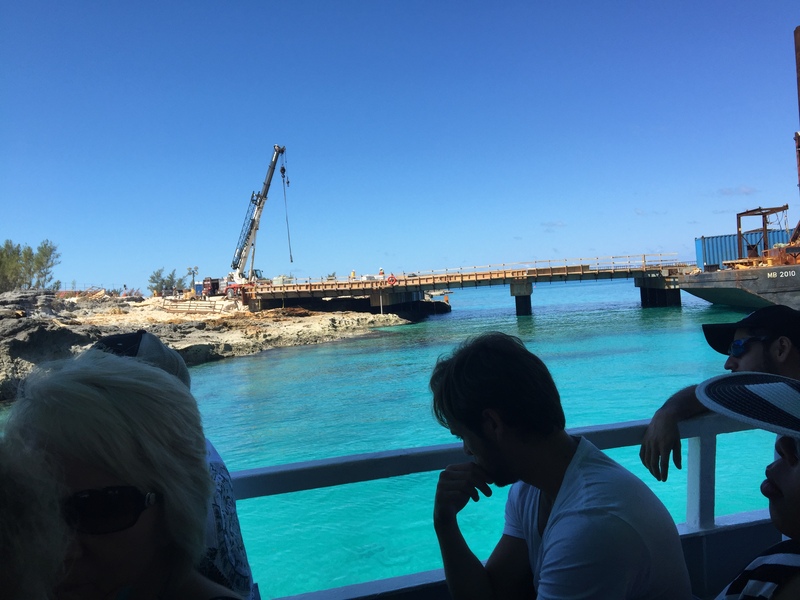 Annette Jackson from MEI Travel shared with us photos of the pier construction, as seen earlier today during a stopover on Enchantment of the Seas. 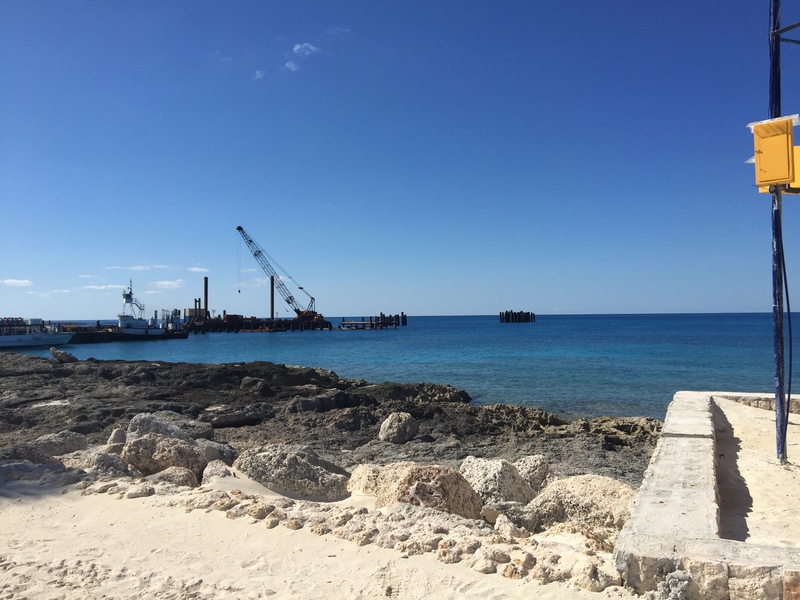 Royal Caribbean updated the completion date of the pier at CocoCay will be September 2018. 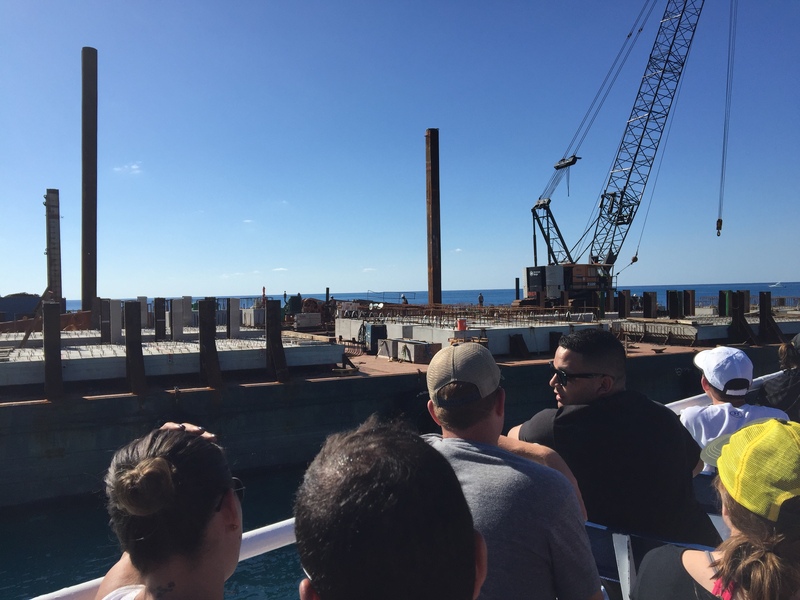 The pier is just one piece of the massive $200 million transformation that will take place over the next year needed to create the Perfect Day at CocoCay. 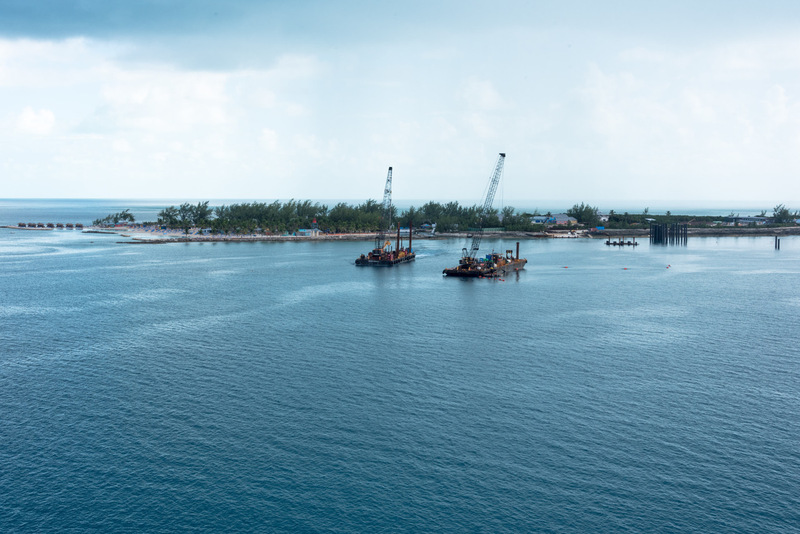 Have you heard about the big changes coming to CocoCay? 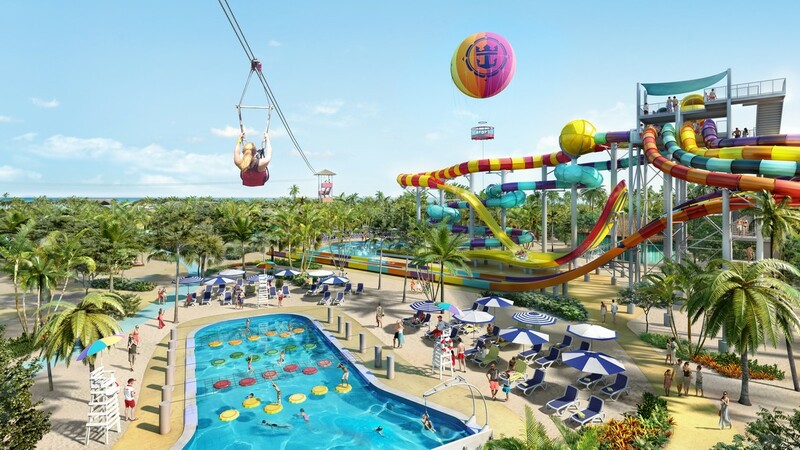 Royal Caribbean unveiled its plans for the Perfect Day at CocoCay that is sure to offer a lot for guests of all ages. 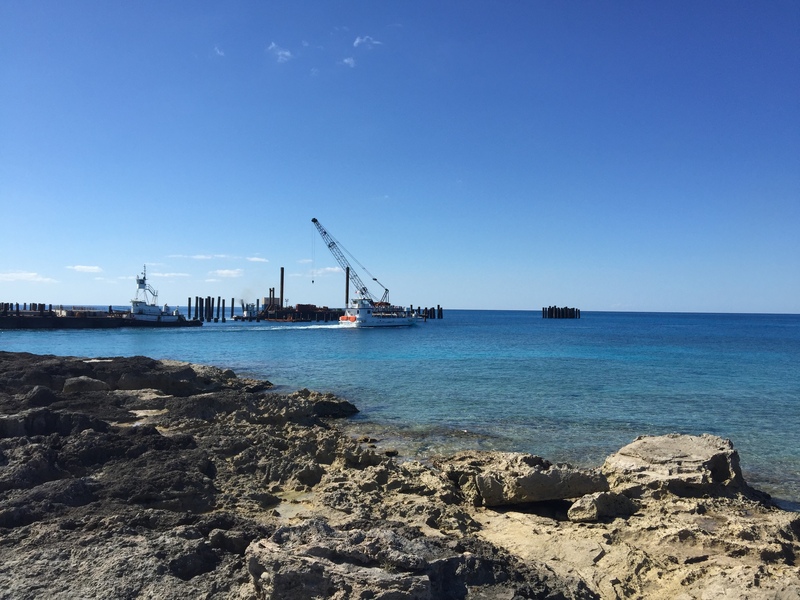 Perfect Day at CocoCay will roll out in phases, beginning Sept. 2018 with the completion of the pier, and the majority of the island will launch spring 2019. 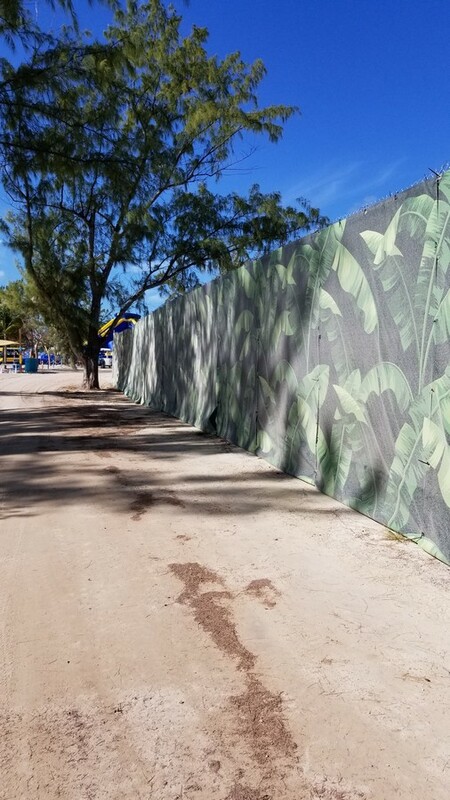 Coco Beach Club, the final experience to be completed, is set to open Nov. 2019. 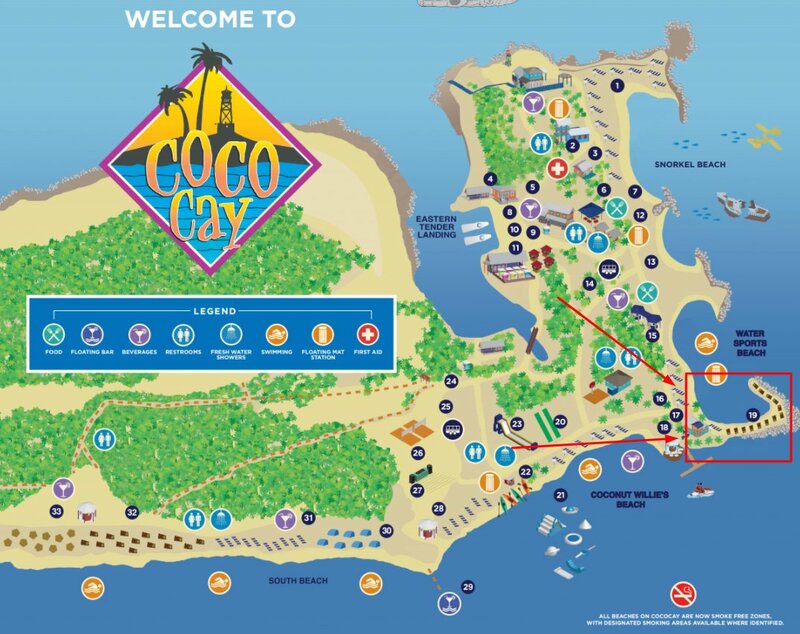 Here is a breakdown of everything we know that is being added to CocoCay, from racing down the tallest and most thrilling waterslide in North America or riding the tide of the Caribbean’s largest wave pool, to taking in the highest view in The Bahamas from a helium balloon 450 feet in the air, unwinding at the largest freshwater pool in the Caribbean, or enjoying the perfect beach day. As you arrive in CocoCay (on the newly added pier), the opportunity to get soaked and cool off is right around the corner. The shipwrecked Galleon features 30 water cannons to play with, along with Sprayaway Geyser, spraying water 82 feet in the air. Royal Caribbean has been adding a new aquatic adventure park to its cruise ships, dubbed Splashaway Bay. 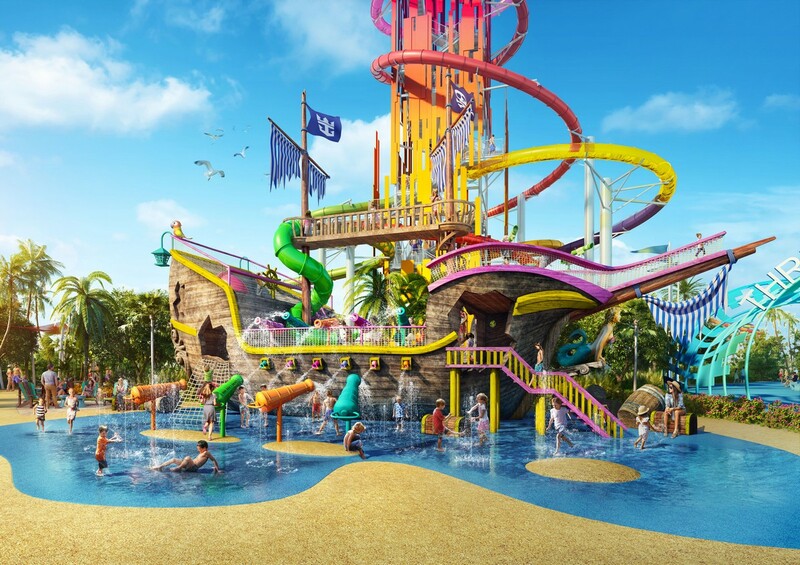 On CocoCay, Royal Caribbean will create the largest version of its aqua park yet. 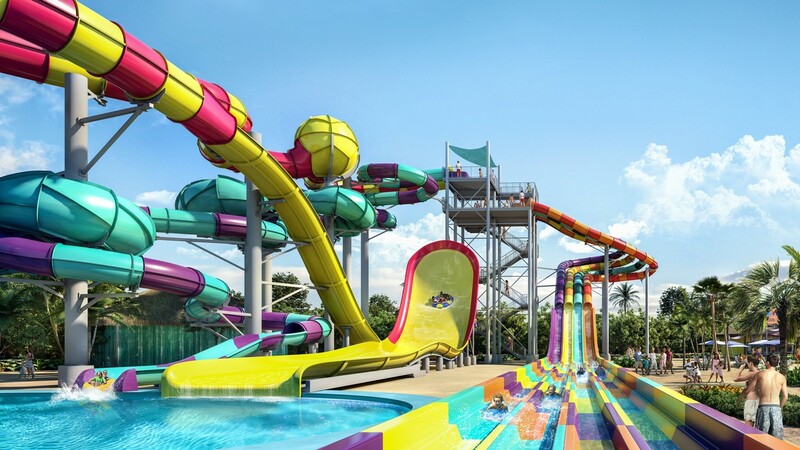 Splashaway Bay will feature fountains, pools, sprinklers, geysers, water cannons and whirlpools – plus five kid-size waterslides and two massive drench buckets. 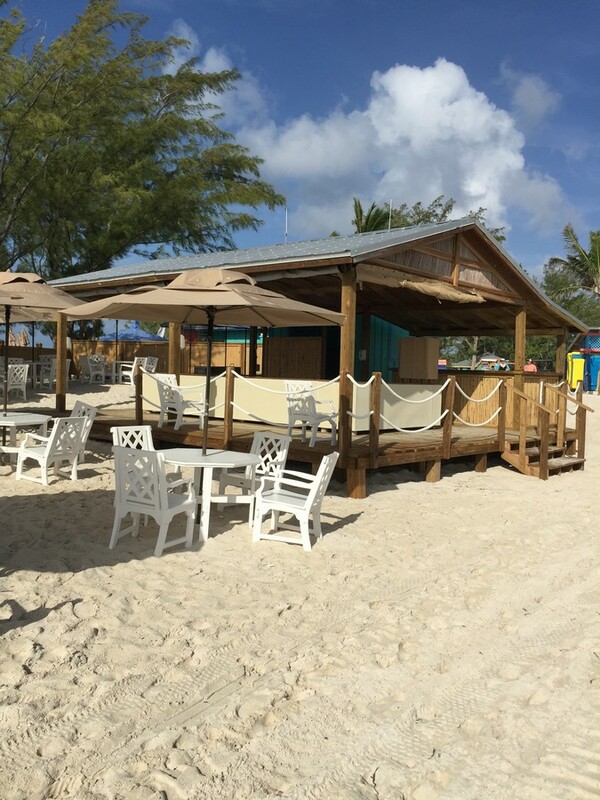 At Captain Jack’s, the island hangout and meet-up spot, guests can grab a drink at the rowboat bar and enjoy waterfront views or chow down on chicken wings and crispy steak fries – the house specialty. For a nautical, world-traveled vibe, guests can opt to head to Skipper’s Grill for lunchtime favorites like burgers, sandwiches, tacos and salads. 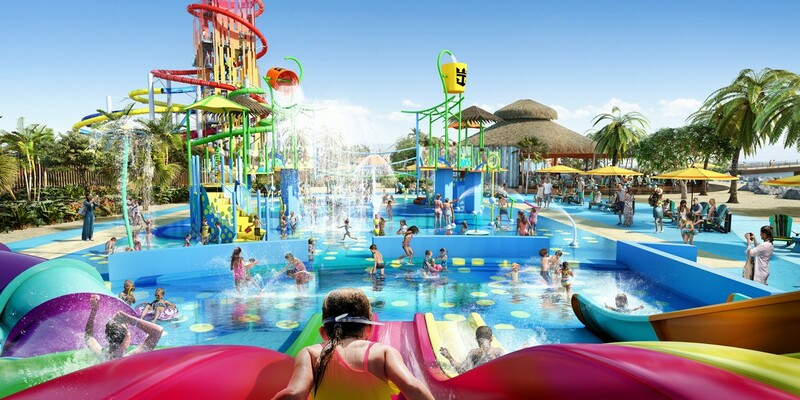 The home for adrenaline-seeking guests is Thrill Waterpark, and it will be in the middle of Perfect Day at CocoCay. 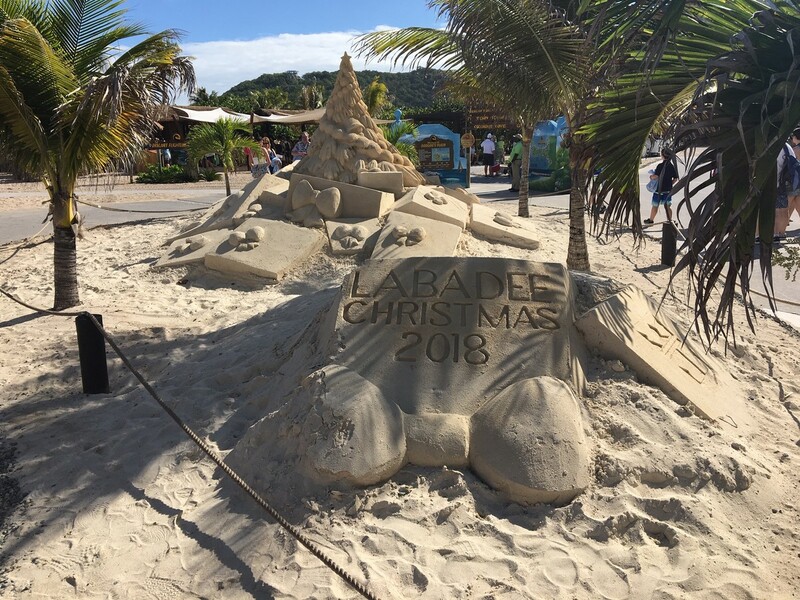 It is home to two brag-worthy water towers with 13 slides – the most slides found in any waterpark in the Caribbean – as well as the Caribbean’s largest wave pool and a kid-friendly obstacle course pool. There will also be a 1,600-foot zip line that ends with the only splash water landing in the region. For younger kids, Adventure Pool will offer an obstacle course of lily pads, a rock-climbing wall and swing ropes to bounce, climb and swing to their heart’s content. You will be able to see it all with Up, Up and Away. 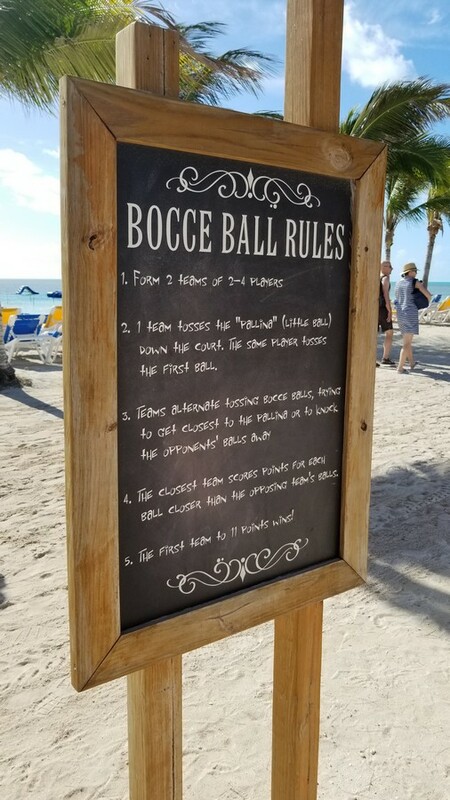 This colorful helium baloon will take guests 450 feet above CocoCay to provide the highest vantage point in The Bahamas and offer views all around the island. 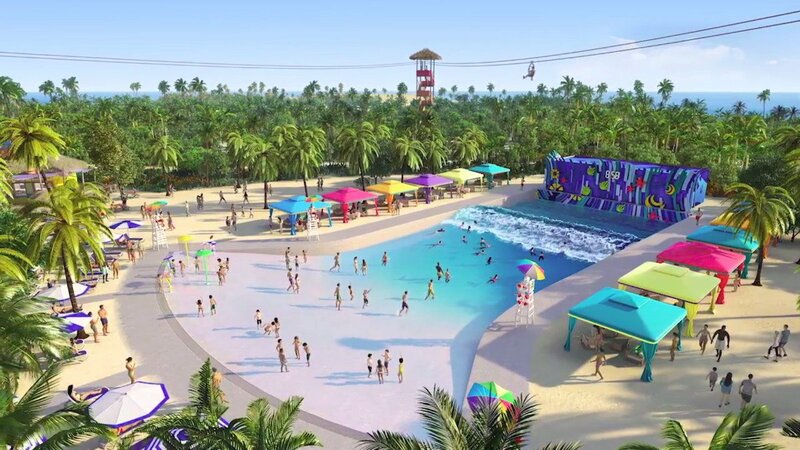 Royal Caribbean is planning to add the largest freshwater pool in the Caribbean at Oasis Lagoon. Guests can find a spot among three distinct coves, each with their own vibe. There will be a swim-up bar, zero entry pool access, or three mini swim-up islands with in-water loungers. If indulgence is more your style, private cabanas area available, complete with its own cabana attendant. 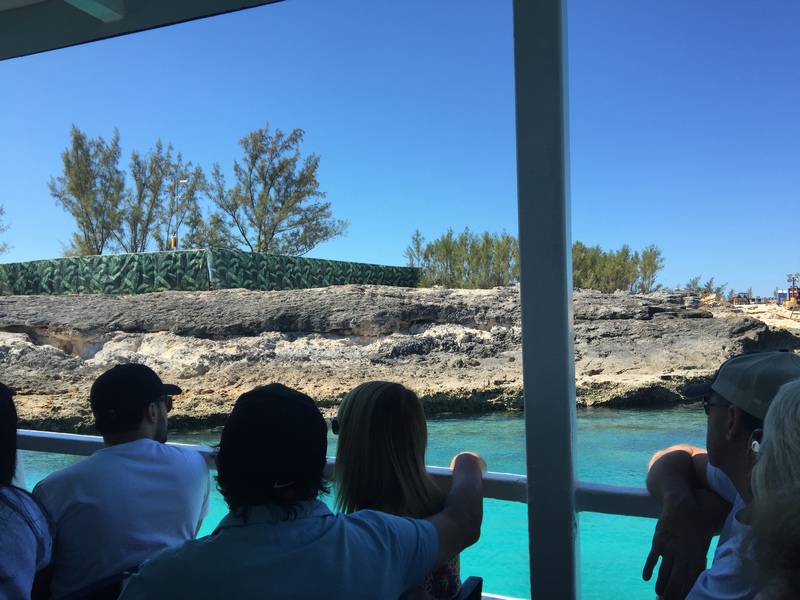 The Coco Beach Club will offer the first and only overwater cabanas in The Bahamas that seeks to offer guests with an additional level of luxury. 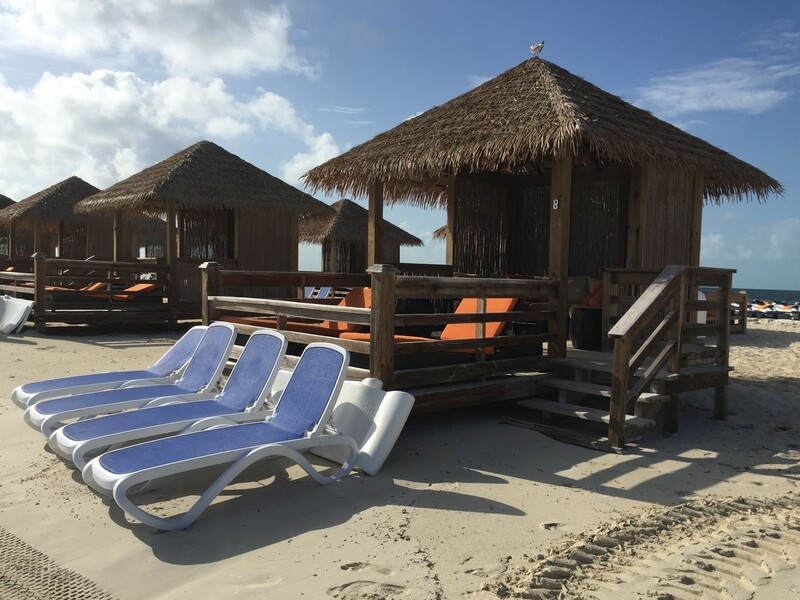 Cabanas at the Coco Beach Club come with an overwater hammock, waterslide and private attendant. Which addition to CocoCay are you most excited to try? Are you brave enough to go down the Daredevil’s Tower? Share your thoughts and ideas in the comments below! Royal Caribbean announced plans for a massive expansion to its private islands, as well as fleet modernization effort. Leading the big news is the announcement of a $200 million transformation of Royal Caribbean's private island of CocoCay in the Bahamas. CocoCay will be the first in the cruise line's most ambitious project yet, which they are dubbing the Perfect Day Island Collection. This will be a series of unrivaled and exclusive private island destinations around the world. 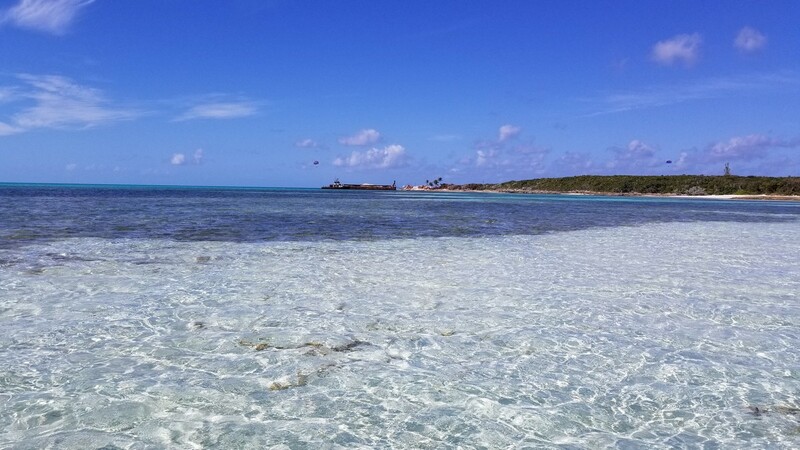 Perfect Day at CocoCay is aimed at offering "the ultimate family destination in the Caribbean." 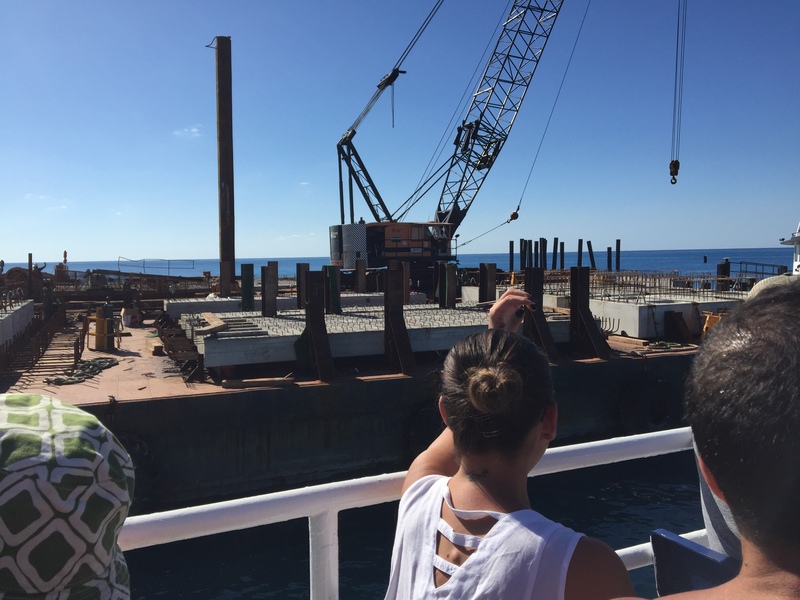 The island transformation will roll out in phases beginning September 2018 with the completion of a new pier, and by spring 2019 the majority of the island’s experiences will be open. 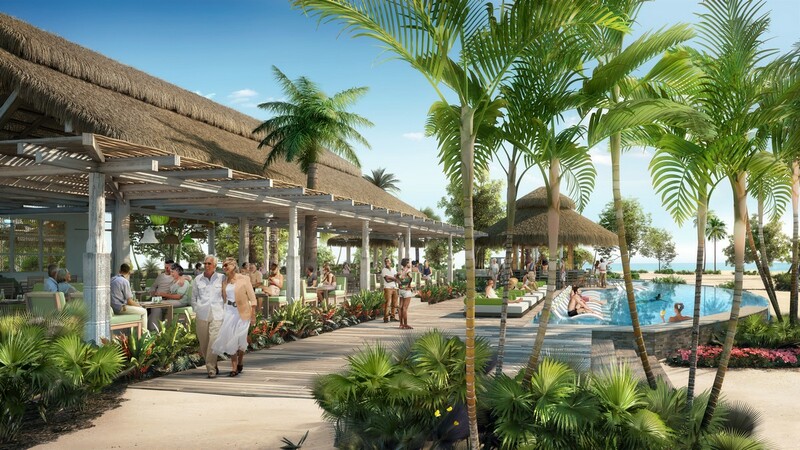 Coco Beach Club, the final phase, is set to open November 2019. Royal Caribbean also announced it will invest $900 million to reimagining its fleet through a new modernization effort called Royal Amplified. Royal Amplified will cover 10 ships over four years, and Royal Caribbean promises the program will touch every facet of the guest experience, and introduce a wide range of innovative features and bold, new experiences, including specialized pool spaces, experiential dining and nightlife concepts, and first-of-its-kind attractions. Royal Amplified will include the Oasis, Freedom and Voyager class ships. 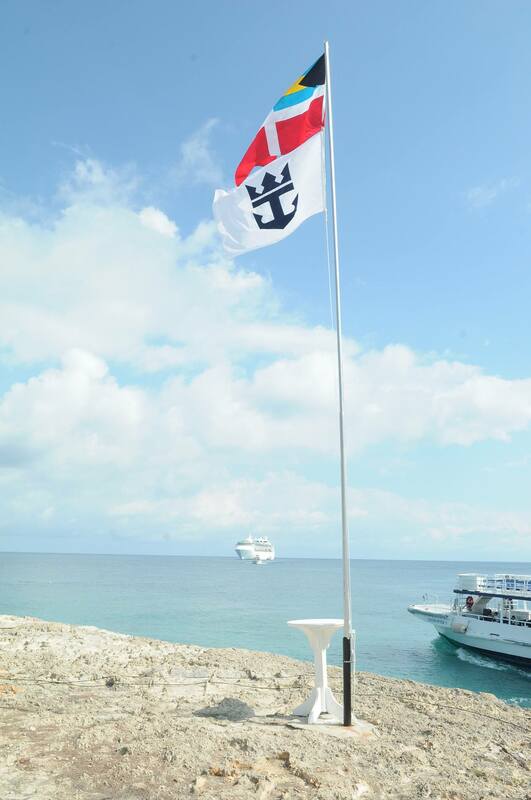 Independence of the Seas will be the first Royal Caribbean ship to receive updates under the Royal Amplified program. Mariner of the Seas will receive her upgrades in time for this summer. The program will continue in 2019 on sister ship Navigator of the Seas, which also will be redesigned to specifically cater to those who seek a quick getaway. Oasis of the Seas will be completely reimagined in fall 2019, ten years after her revolutionary debut. The ship will gain new thrills, pools, bars and culinary creations, as well as introduce new restaurants and onboard adventures found on the newest Oasis Class ship, Symphony of the Seas. 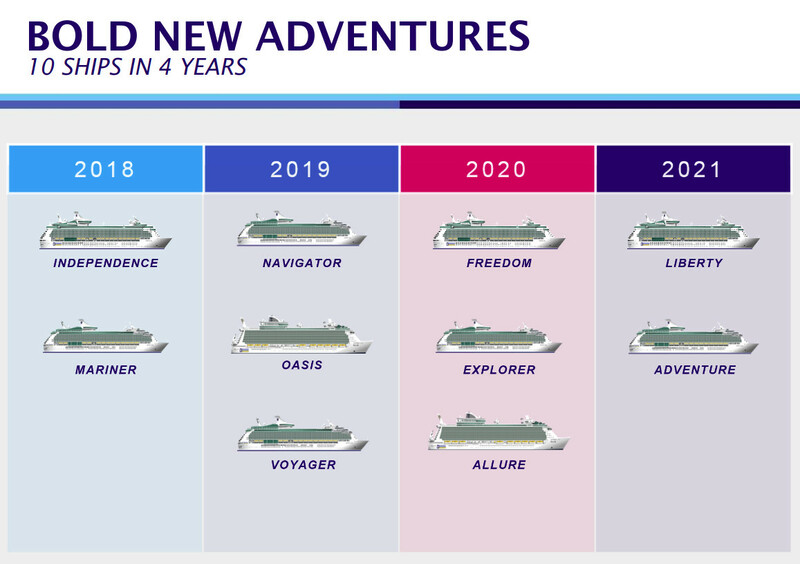 These enhancements will cascade to Allure of the Seas in spring 2020, making every ship in the class more adventurous than ever. Freedom of the Seas will be up next, debuting new features in 2020, followed by Liberty of the Seas in 2021. In developing Royal Amplified, the global cruise line analyzed multiple years of guest satisfaction ratings, venue utilization data and crew interviews to focus the major investment on key features and experiences that matter most to travelers. Full details on each ship’s new amenities will be revealed on a continuous basis in the next three years. 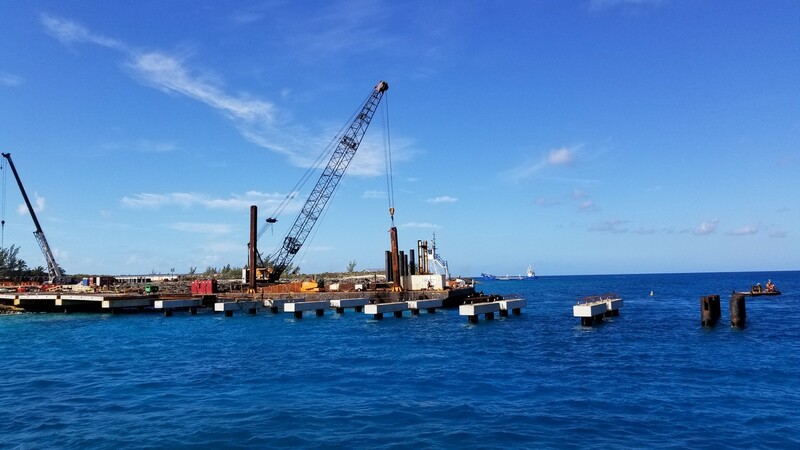 Royal Caribbean is working on adding a pier to its private destionation of CocoCay, and we have a new photo report to share of the progress being made. Reader Brian White took these photos on August 30, while visiting the island on a Grandeur of the Seas cruise. 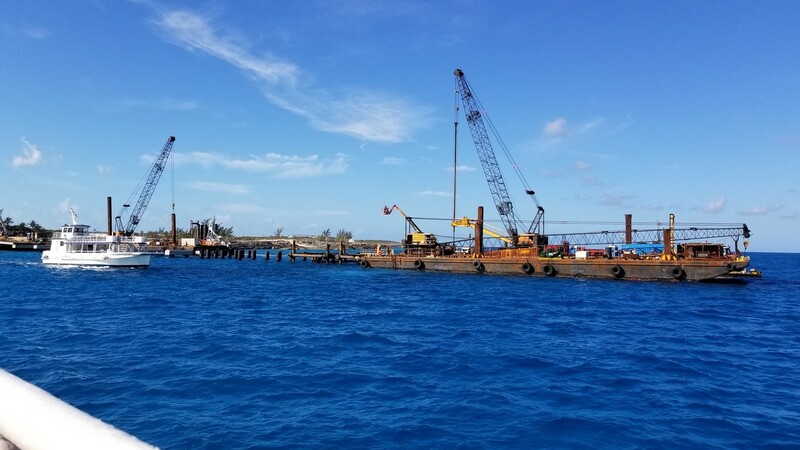 The pier will connect to Cococay on the western side of the tender harbor and extend down island from there, presumably to keep the tender harbor free for future use. The barge on the right was re-positioning at the time this photo was taken, eventually moving to the far right out of view where the end of the pier will be. 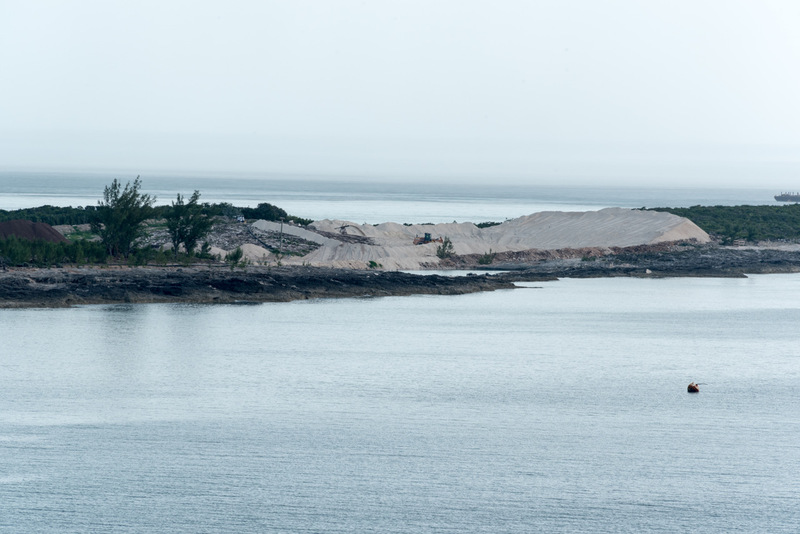 The sand they are pulling out is being dumped further down the island in the undeveloped area. 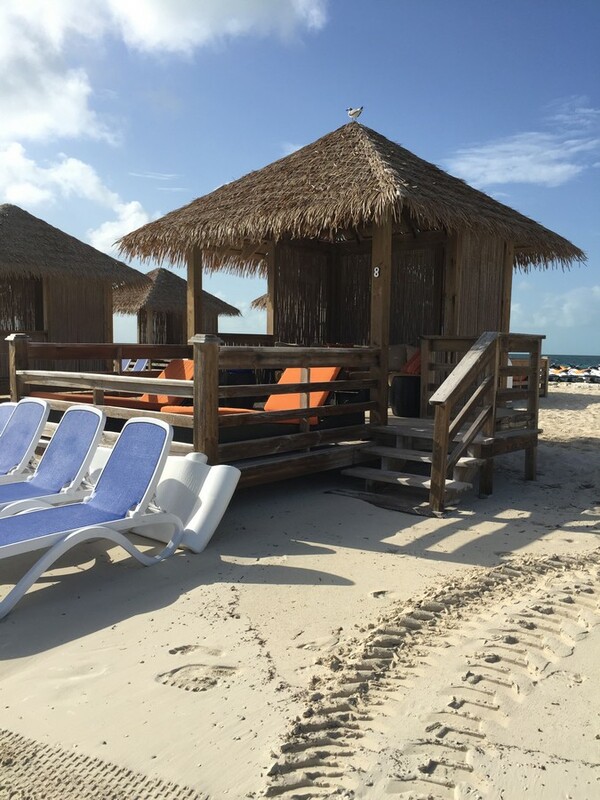 Royal Caribbean has offered cabanas at its private destination of CocoCay for years, but these cabanas have lacked direct ocean access. A new set of cabanas have been relocated that remedy that issue and provide waterfront access. 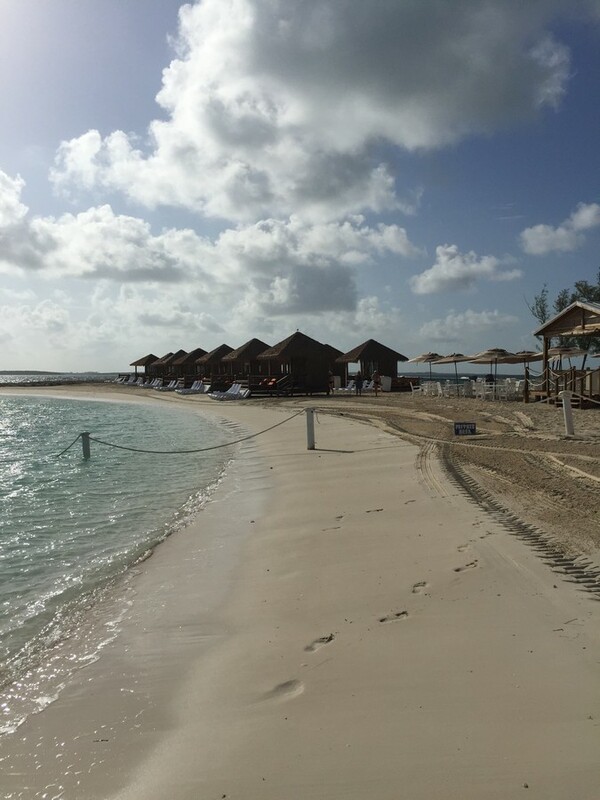 The waterfront cabanas at Water Sports Beach provide direct water access and Royal Caribbean Blog reader Nick Vitani shared photos of these cabanas. 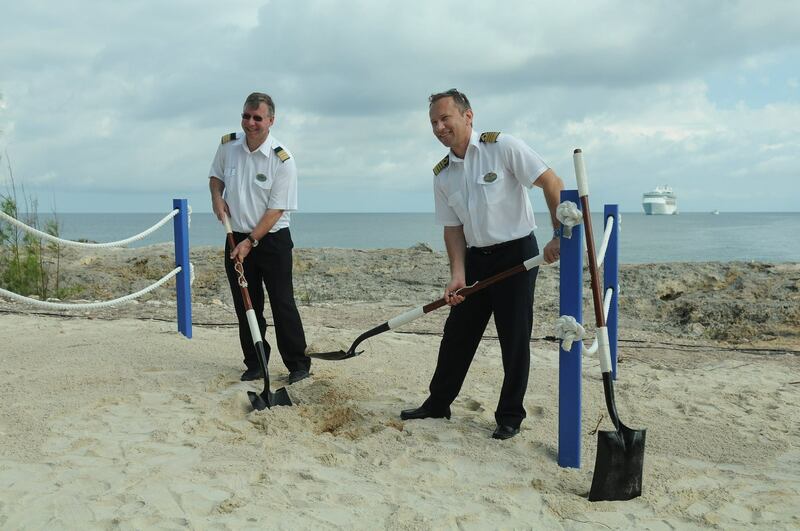 The cabana relocation is part of Royal Caribbean's island-wide updates that are in the process of being implemented. Royal Caribbean CEO Michael Bayley spoke with Travel Weekly about a variety of topics this week, which confirmed or announced a number of changes coming to the cruise line in the next few years. Quantum 4 (also known as Quantum Plus), will set sail in 2019 and spend its first winter in China, and, if it is not deployed to the UK earlier that summer, will spend the whole summer in China too. Symphony of the Seas will feature, "an experience for kids and the kid in you, something for adventure seekers but in a nice, safe way." Royal Caribbean is working on several product enhancements on Symphony of the Seas to improve the dining, entertainment and service. All will start to be revealed next month. 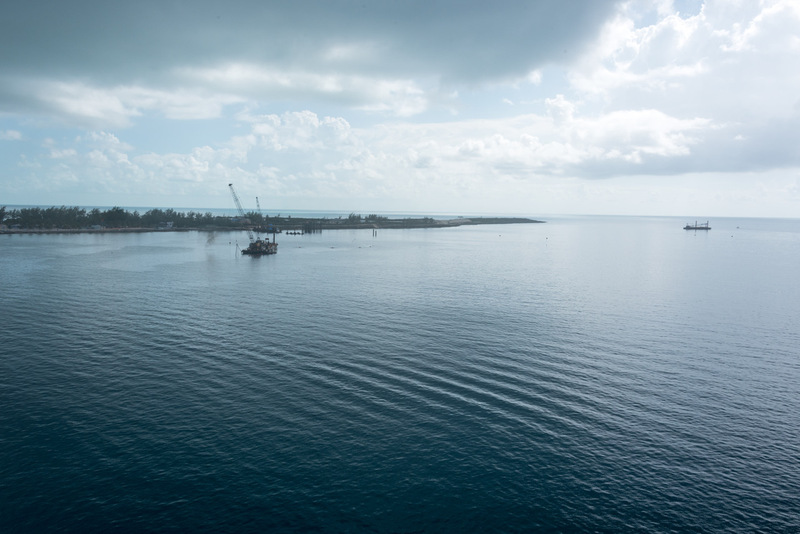 Bayley indicated Majesty of the Seas could be sailing to Cuba too, "We have 40-50 sailings calling into Havana in 2017, starting in April – mostly on Empress of the Seas but also a few on Majesty of the Seas." 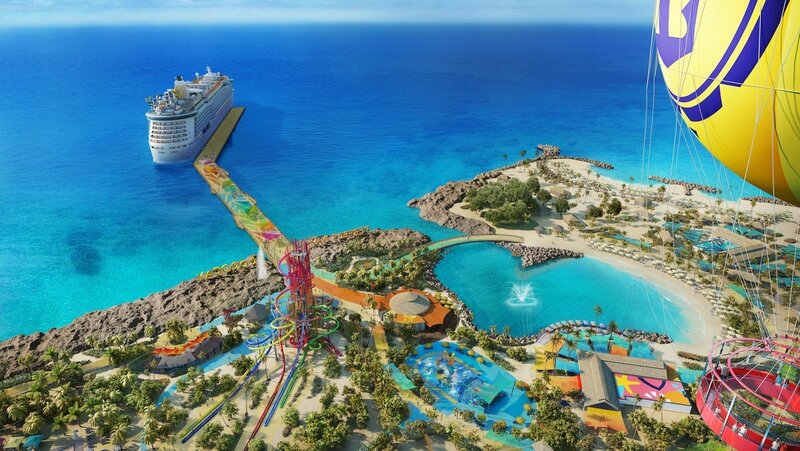 Royal Caribbean will build a "massive water park" in CocoCay that, "will eclipse any other water park in the world." 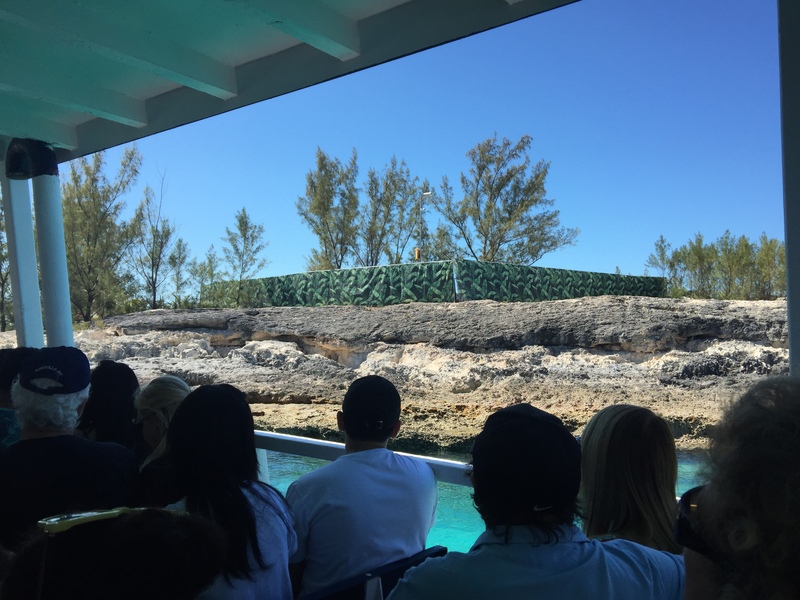 Guests on CocoCay may be able to get off the ship and stay there overnight, "we will be adding some private cabana accommodation for Suite Class guests who may want to get off and stay for a few days in total luxury and privacy before hopping on another ship to come home." You can read the entire interview with Michael Bayley on TravelWeekly.